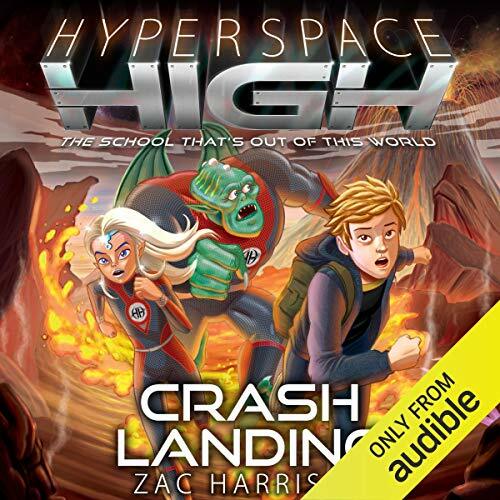 In Crash Landing: Hyperspace High, Book 1. Zac Harrison serves up a delicious premise for a kid’s book series: a boy, John Riley, from Earth, gets picked up by the wrong school bus and ends up in a high-school populated by aliens. Given a silver-tongued performance in a British accent by Michael Fenton Stevens, Crash Landing follows John as he attempts to befriend classmates who have silver hair and resemble insects and survives a life-threatening first field trip. Stevens has the polished tone of a nature-documentary narrator but effectively conveys tension and levity in this charming tale that’s sure to appeal to kids who love science fiction. Source: I received this book free from Audible Studios. My opinions are my own. --John's interactions with his parents. They seem really great, and as involved as they can be with their son in boarding school. --Sound cancelling bed alcoves - good for John, since his roommate snores. One year, my dorm room was ground floor facing a very busy street; I really could have used one of these.